Just in! 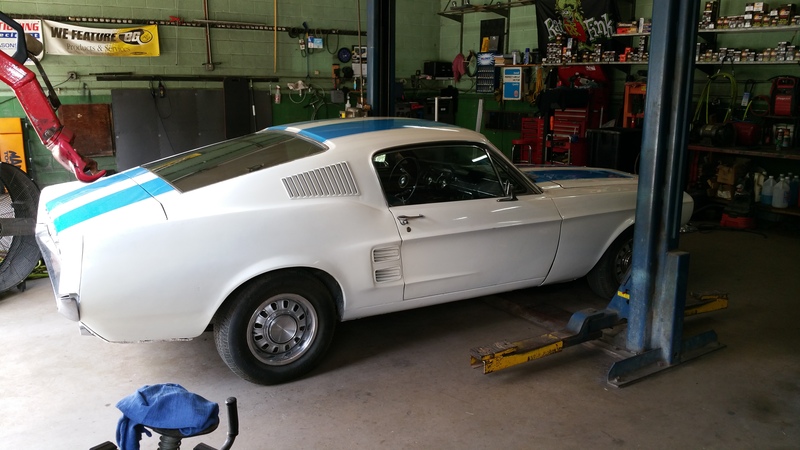 This is a 67 Mustang fastback with a 289 motor. Condition: This is on the GOOD condition. 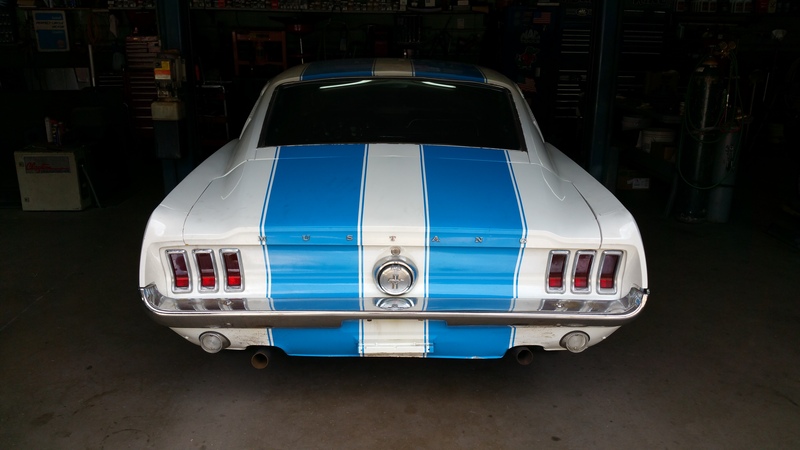 Fastback are getting hard to come by without paying into the 30’s skyward… they are one of the few cars that you could put money into and get it back if you wanted to sell it off… but after it’s restored…. who would want to do that!? 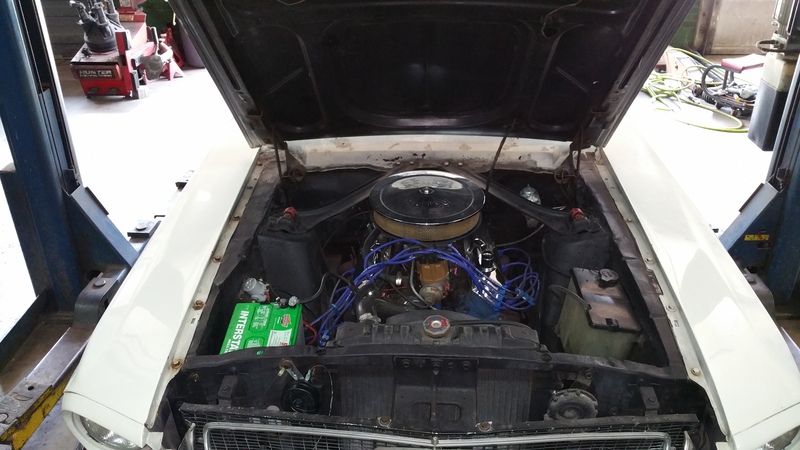 The car is a running driving “C” code 289 4 speed. 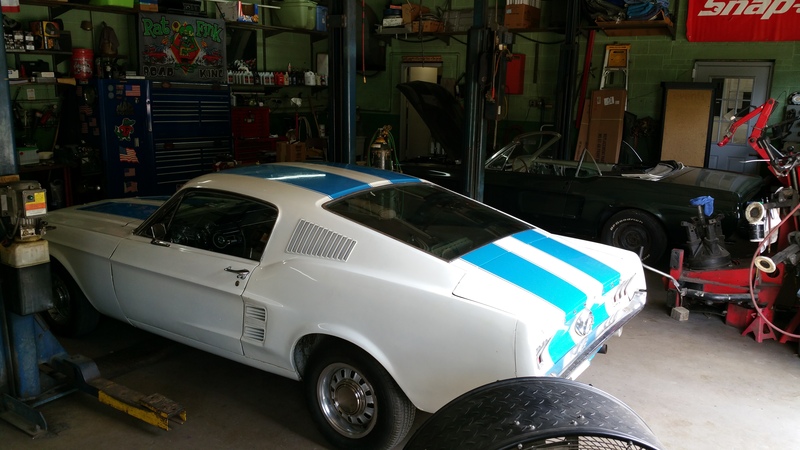 A great car to drive and work on at the same time! 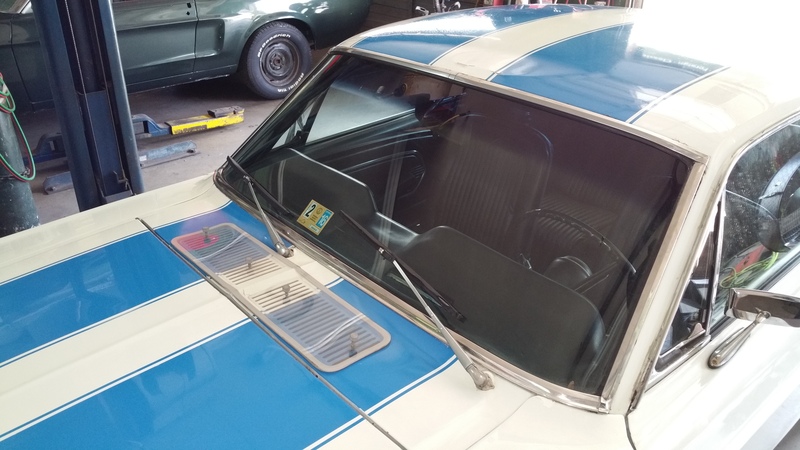 OK – here’s the scoop… it has no scoop….ha!… but it is the blinker style hood. 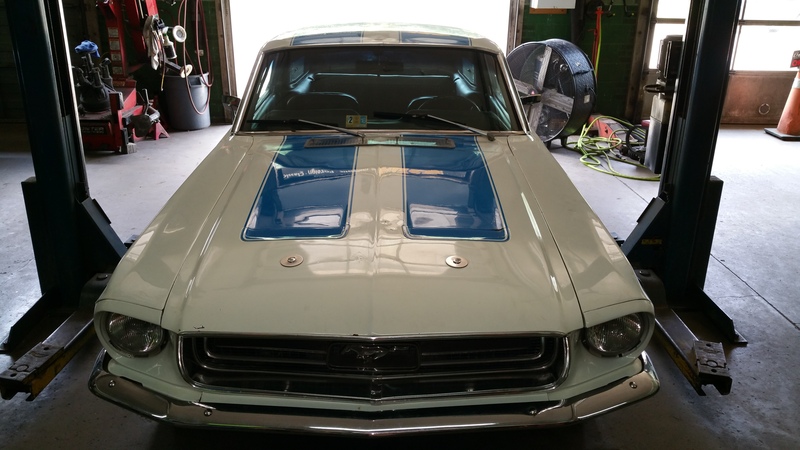 The paint on this car was painted over 25 years ago and looks like it… it’s a 15 footer at best… the body is pretty straight however, rust is limited but I can feel/hear some bondo in the drivers side door. Rust is at a minimal. At the time of this posting we have not got underneath it to see what may be there… sticking my head under it looks minimal… I’ll add some pictures soon if I don’t sell it off this weekend! 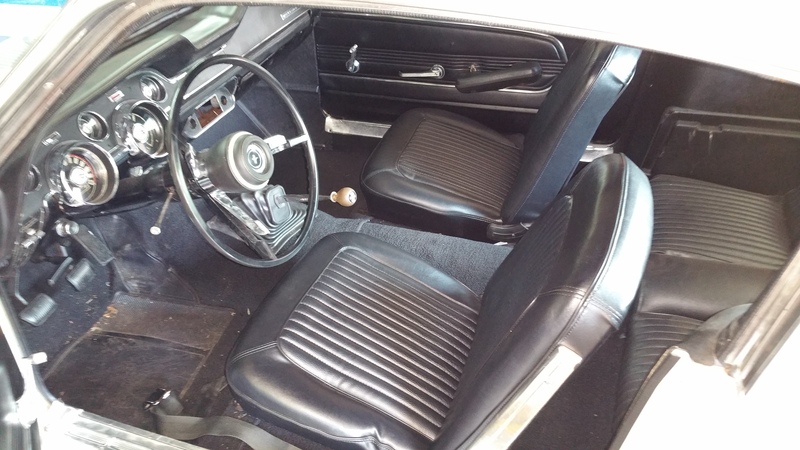 The interior is nice – looks like it could use some tightening and detail work, but carpet is fairly new, seats look great, dash and wheel are in great shape! 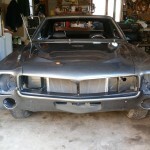 This car is mostly in need of sanding and painting for a nice daily driver. 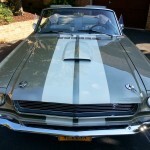 Note: I know from the history of this car it is a 289 “C” code believed to be the original motor and trans. 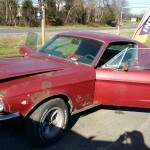 However, the car was re-vinned in 1977 from a stolen recovery in New Hampshire. It currently is, and has been, a clean title in VA. 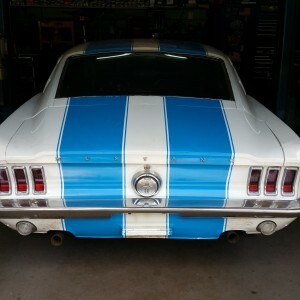 The car has also been state inspected and ready to buy and drive! 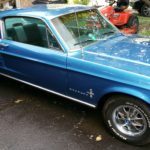 Be the first to review “1967 Mustang Fastback – SOLD” Click here to cancel reply.